Property owners may decide to put their property on rent at some stage in order to avail some extra earning through their property. It is always better to put a property on rent instead of keeping it empty as well as unused. Renting property fetches a good earning, and a part of the earning can be devoted for property renovation too. 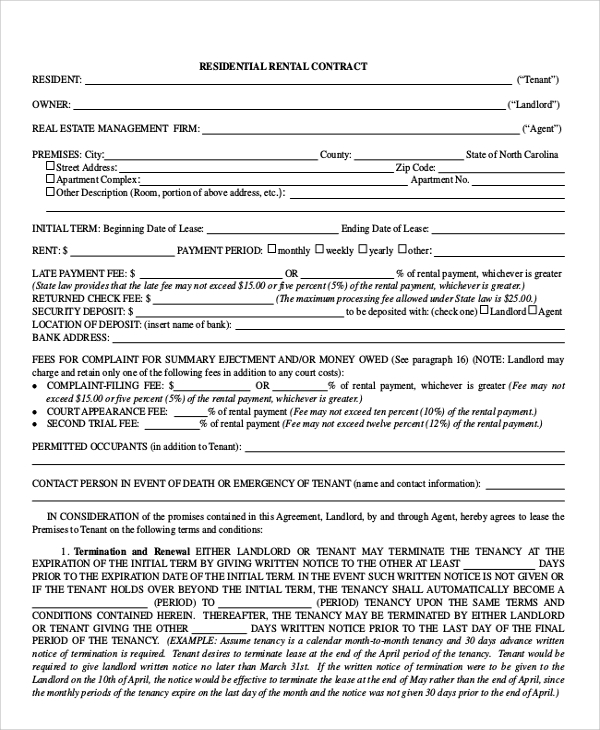 The formal process of renting a property is creating a contract or agreement with the renter. Find online House Rental Contract Samples for this regard. 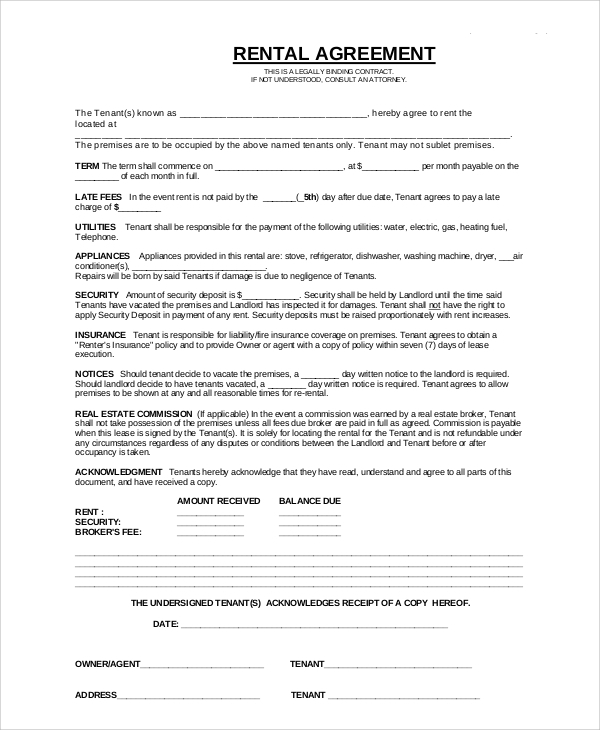 If you have decided to put your apartment for rental, you can create an agreement instantly with the interested person who wants to take your apartment on rent with this template or sample agreement. Do you want to rent out your apartment? Well, after finding a potential renter, you need to create a legal agreement with the person. 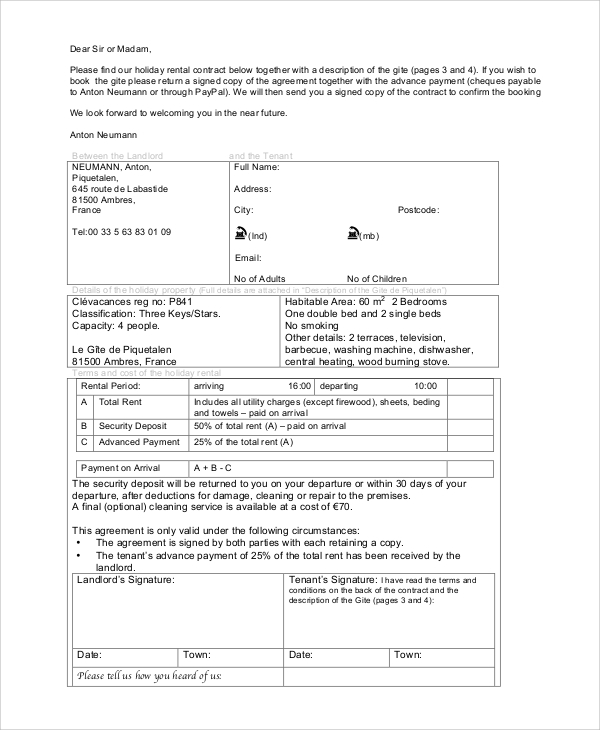 For creating an agreement, this document can be used. 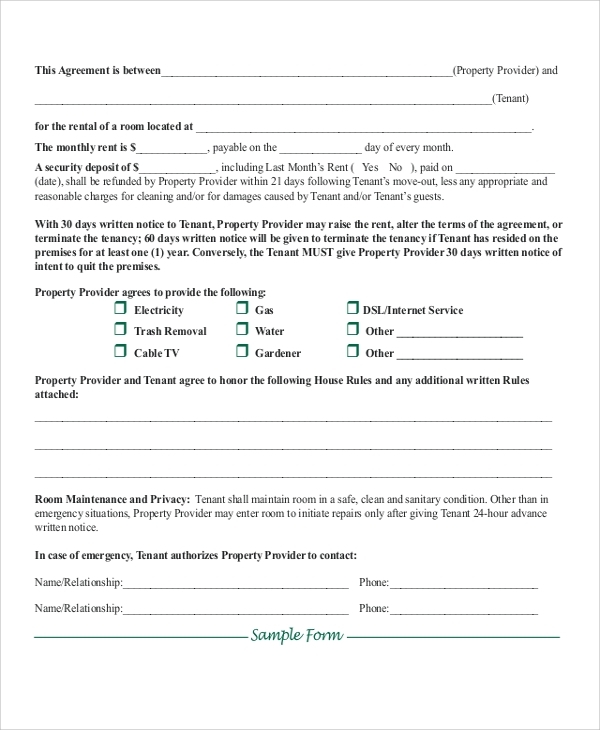 To create an agreement a tenant for your fully furnished apartment for renting, you can use this document as agreement. Print the document after customization as per your requirements. Renting out an apartment which you are not using is a good decision from an economic point of view. It will fetch some extra earning for you, and at the same time, you can be able to avail a good amount of money for the purpose of maintenance and renovation of the property. The formal process of property renting starts with creating a contract or agreement with the tenant. This agreement should be a legally approved one, where both property owner and the renter agree to the terms of the contract. 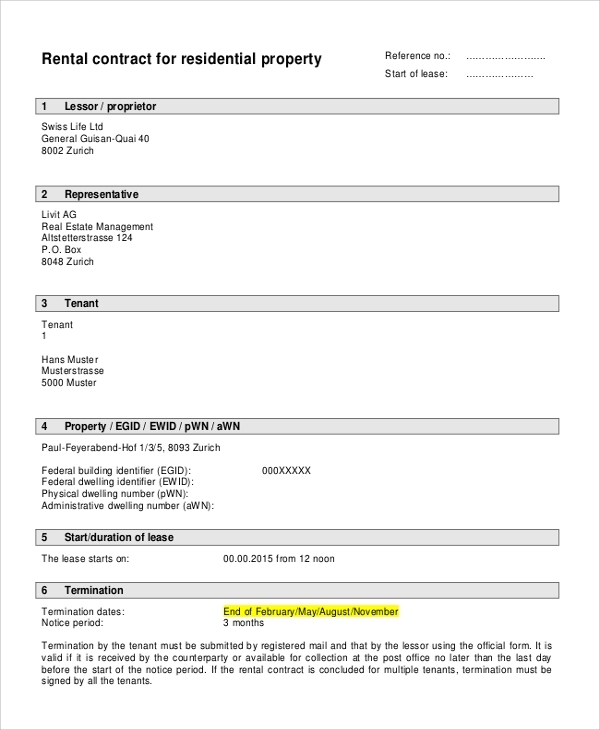 The property owner shall reserve the rights for closing the contract if any agreement terms have been violated by the tenant.You can also see Sample Rental Agreement Contracts. 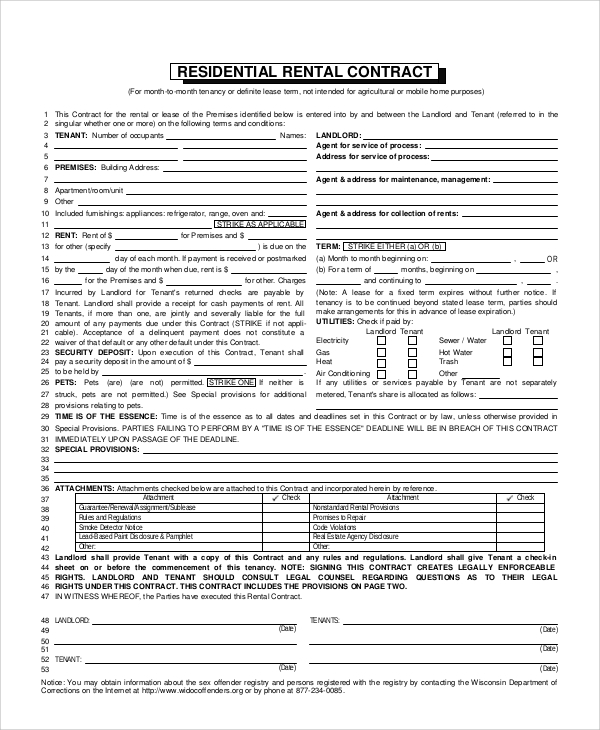 Who Should Use Apartment Rental Contract Samples? Keeping an empty property is a matter of bearing some extra expenses. You have to pay the electricity bills, water consumption bills, etc. Renting the property will let you enjoy freedom from paying such bills. The tenant will pay these bills as per his or her consumption. This is why property renting has become a popular choice for property owners these days. To rent out a property, you need to find an interested tenant. After agreeing on various terms and rental fees per month or year, both parties need to sign an agreement. This agreement shall have all those terms in a written format. Using a sample to create such agreement terms makes the job easier. 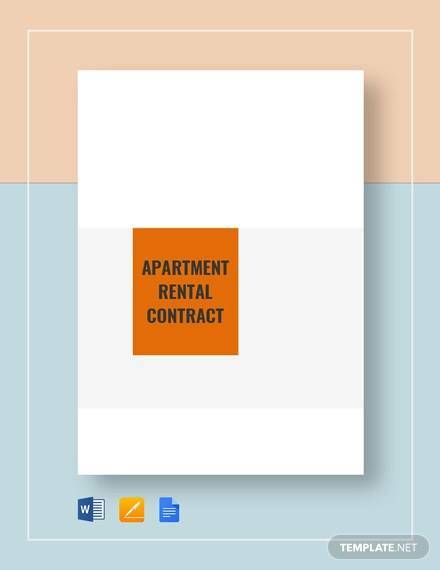 Using an apartment rental contract sample makes the job of creating rental agreements easier. 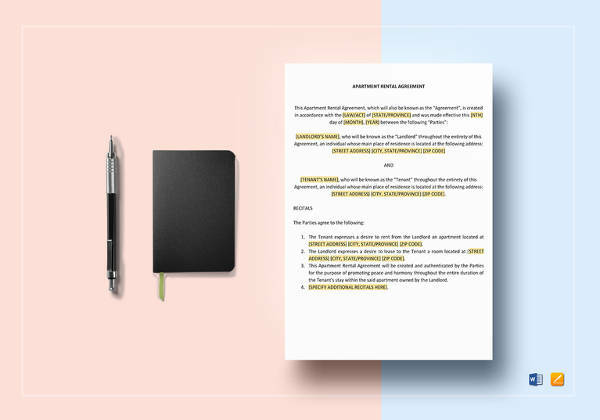 A property rental agreement is a legal contract, and thus it has to be written seamlessly, without having any errors in it. Generally, solicitors or legal advisors of property owners write such agreements. As a novice legal advisor, you can create such contracts within a few minutes by downloading online samples. You can use online samples as inspiration. Furthermore, you can use them directly after making customization or a few alterations. It saves time as well as money. Downloading such agreement samples is easy, and it takes only a few minutes. If you want to rent your apartment to someone, you must protect you right as the property owner by making a legal contract with the tenant. Creating a legal contract will turn a hassle-free experience when you have the rental agreement form sample along with you. 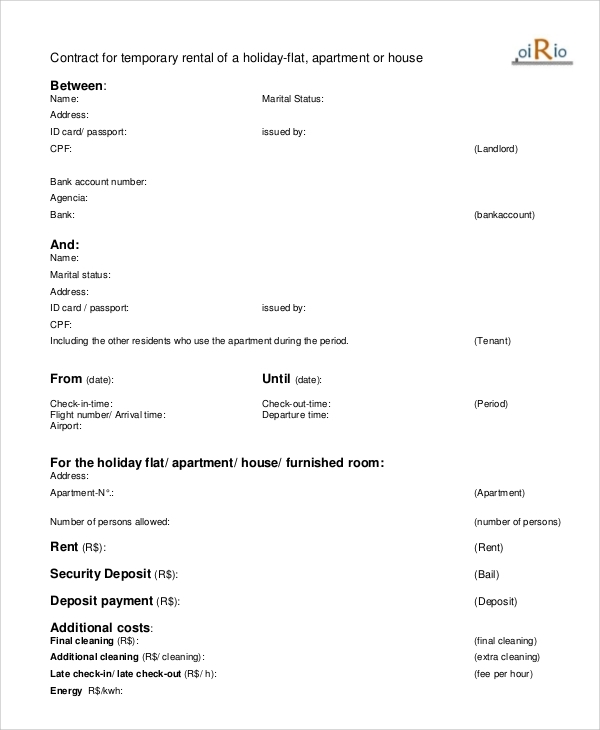 Download the forms and customize them to create a contract instantly.You can also see Sample Room Rental Contracts.